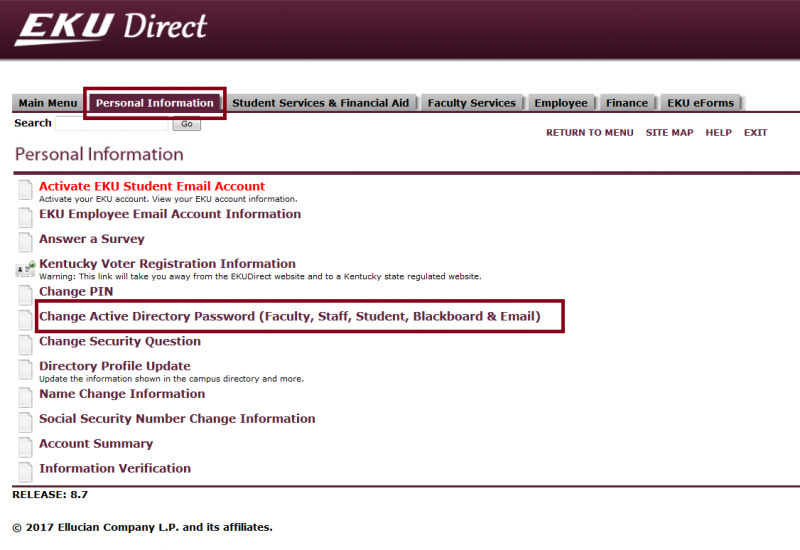 Log in to EKU Direct. Select the account you want to reset, in the event you have more than one listed. 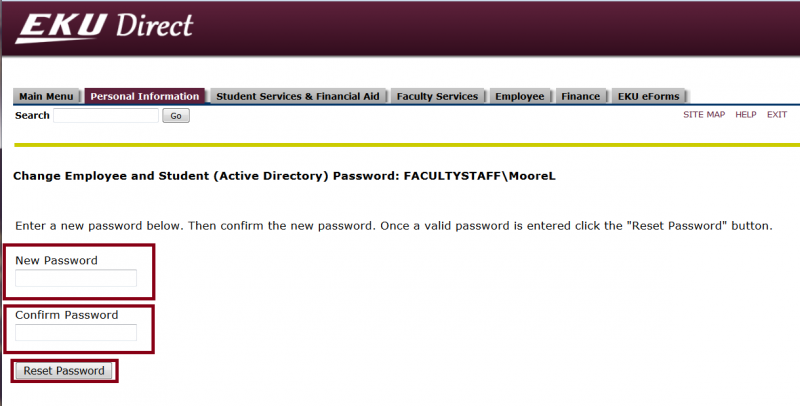 Type your new password in the New Password and Confirm Password box then click the Reset Password button. 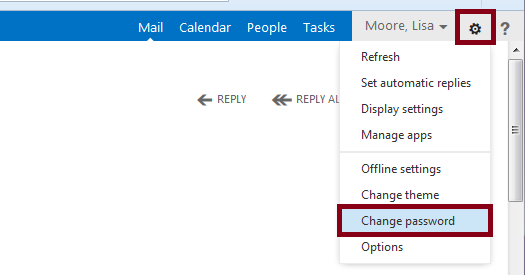 Make sure to change your password on all mobile devices, in settings, for email, wireless and Lync. Select wheel\gear in top right corner. 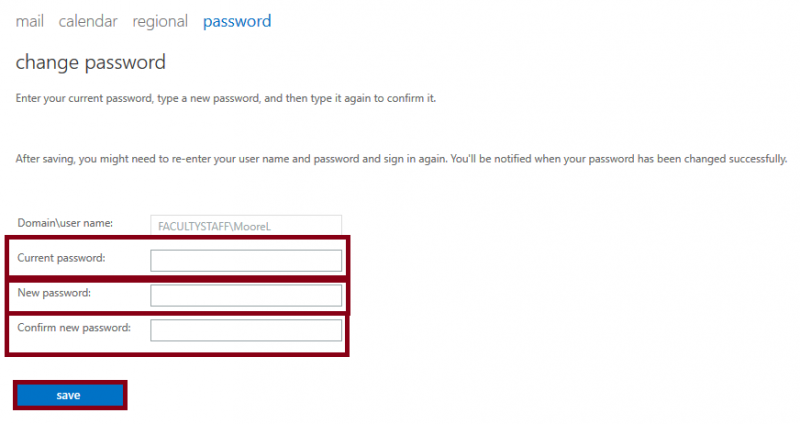 Type your current password in the Current password box, a new password in the New password box, and repeat that in the Confirm new password box. Then hit the save button. If you prefer to, you can call the IT Service Desk to reset your password: 859.622.3000.